So you have decided to audition for Juilliard. Creating good music is only one of the many things that this school is looking for in new students. Just imagine how many people audition each year and keep in mind that it is among the most selective institutions in the world. I am not pointing this out to demotivate you from sending over your prescreening materials, I am saying it because one must understand that if you wish to stand a chance to become a Juilliard composer, everything you submit must be as good as it can be before you submit it. The only thing that will speak for us as composers will be the quality of our music as well as its presentation, which, fortunately, does not require any talent to get right, only time and dedication. Above all, your application should do its best not to inconvenience the judges. So, when the application asks for three audio samples and PDFs of your work, you have to make sure that you know the guidelines by heart and follow them accordingly! I can’t over emphasize this point. You must adhere to every regulation religiously and if you achieve this, you can go to the next step, which is the getting the quality of your recordings and performances to the highest possible level. The application webpage states that you may submit MIDI files or live performances but don’t think that this gives you the permission to not have to worry about getting your music well-played and recorded. No professor of composition, certainly not the ones at Juilliard, will prefer a MIDI to a decently recorded track. Your willingness and commitment to create a good product will speak very loudly of your seriousness as an artist. If you don’t take your own work seriously enough to make it sound good, other people might not give you a chance. Next, you must know as much as you possibly can about the actual school. Investigate who studied here and who are past and current faculty members, and become familiar with their works and maybe even their personalities. You should also get in contact with current or past students and send them some of your work asking for feedback. The strategy is to send 1,000 emails with the hopes of getting at least one response. All of this might lead you to teacher within the school and maybe even one of the members of the faculty. 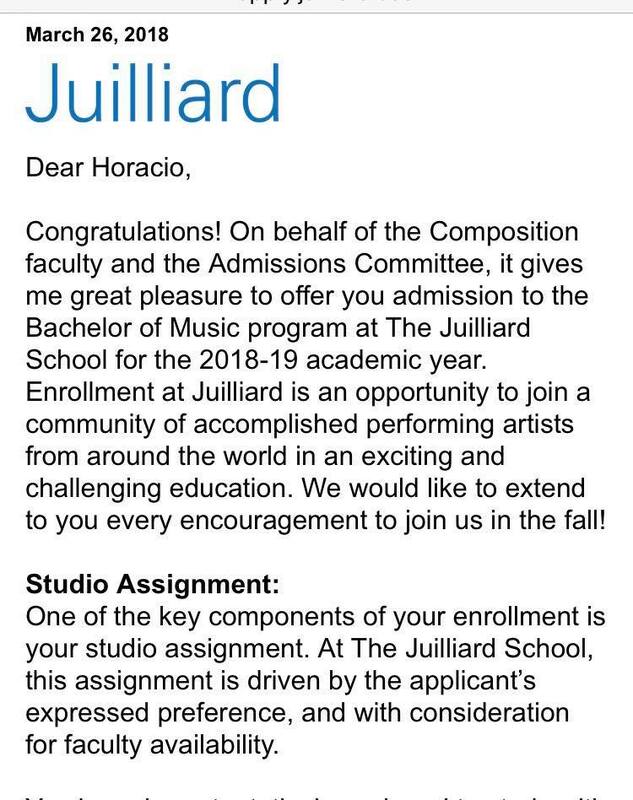 Applying to Juilliard is a process that should at least take a year of your concentration if you are a complete outsider like I was. Now that I'm here I know that some of my classmates knew faculty from music festivals or competitions and that was helpful. The more people you know before applying, the better, but it is totally possible to be a complete outsider and still get in. If you get through the prescreening, it’s a different story. You will be invited to New York to take theory exams and you will be interviewed by the faculty at the end. When you walk into your interview your teachers are obligated to look at your results before saying anything, so that piece of paper will be their first impression of you. If you are capable of doing a decent job, why not go the extra mile and brush up your harmony? Each interviewer will have his or her own diverse personality, so your best bet is to just be yourself. They will purposely ask questions that you will not know the answer to. They don’t expect you to know everything; you are there to learn. Accepting and recognizing that you still have a lot to learn shows a certain type of maturity that many people forget about: humility. If you try to talk your way out of something that you don’t know, be certain that they will find out, so don’t be pretentious. Come ready to talk about yourself and what is important for you to say through your art. This kind of sincerity and willingness to better yourself will get you far in life. and the result can be to get accepted into Juilliard but never forget that a rejection is an opportunity to grow, not the end of the world. 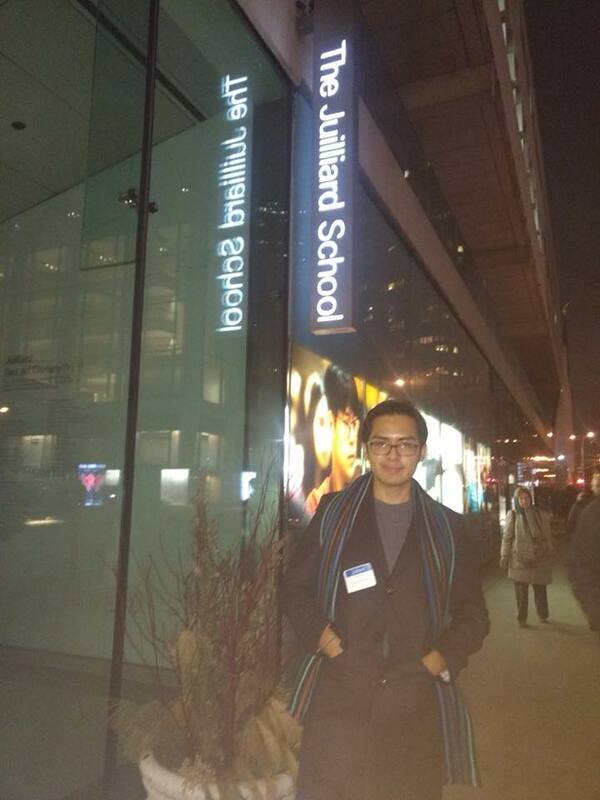 So apply to Juilliard and be prepared to take it seriously and ask for a lot of feedback. What this experience can give you no one will be able to take away if you decide to grow from it and learn what being a spokesman for yourself is like.